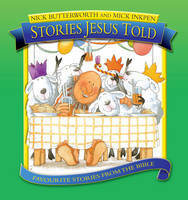 This story explores a young child's experience of being life limited and shows how important it is for such children to know that that Jesus is preparing a place especially for them and that they will always be remembered. 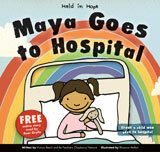 The book is part of the Held in Hope series, a series of sensitively written and stunningly illustrated stories about young children's experience of illness or facing death, and how they relate their Christian faith to their experiences. 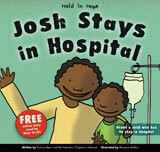 Other stories in the Held in Hope series include: Maya Goes to Hospital, Josh Stays in Hospital, and Jesus Still Loves Joe. "The thing that struck me most about these books is that they give an accurate yet appropriate portrayal of these issues. They don't seek to give a false hope of 'it's-ok-because-Jesus-loves-us' attitude. They genuinely show the emotional rollercoaster of life. Would I recommend these to a family? Absolutely! 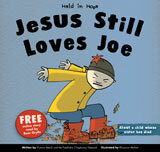 I'm so glad that the Church is finally producing such high-quality, engaging and beautiful resources for children"
Ellie Read, Primary school teacher. 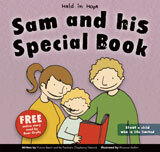 '"he illustrations are simple and fit with the words beautifully. Either read from the book, or listened to and watched as the film, this story is sure to help and the simplicity may even speak to the adult reading it to, or watching it with, the child." Mary Bartholomew - The Good Bookstall 06/05/2011.